See astronauts train for missions, touch a real moon rock, land a shuttle, and take a behind-the-scenes tour of NASA. Space Center Houston is a place where people can experience space from its dramatic history and exciting present to its compelling future. 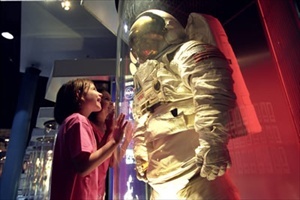 Space Center Houston is the only place on Earth that gives guests an out-of-this-world journey through human adventures into space. The unparalleled exhibits, attractions, special presentations and hands-on activities tell the story of NASA's manned space flight program. 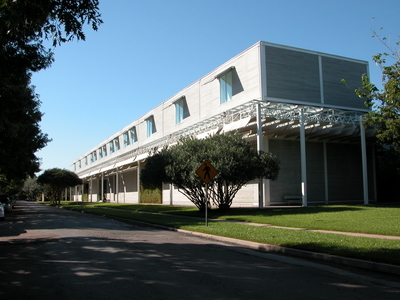 Dominique and John de Menil commissioned architect Renzo Piano to design this steel-and-cypress building to showcase their extensive art holdings – considered one of the country's finest private collections. Modern works, tribal and ethnic art, and antiquities are well-represented, and surrealist works are prominent, especially those by Magritte –altogether experience an amazing assemblage of periods and works. Walking distance from Hermann Park is the activity-filled Children's Museum of Houston. Little ones can make tortillas and learn some Spanish in a Mexican village, or they can learn to draw in an open-air art studio. San Jacinto Battleground There’s something for everyone at the San Jacinto Museum of History. Experience the world’s tallest memorial column, witness revolution in the Jesse H. Jones Theatre for Texas Studies. Discover America’s past among the museum’s exhibits and antiquities. Find the best in Texana books and walk the battlefield that gave birth to the American West! While you’re there, you can tour the historic Battleship Texas—once the most powerful weapon in the world—enjoy the nature trail, go biking or participate in one of the state’s most interesting birding environments. From art and artifacts to biking and birding—San Jacinto is where America's tourist goes to see its past and enjoy its present. Memorial Park, a municipal park in Houston, Texas, is one of the largest urban parks in the United States The park also has facilities for tennis, softball, swimming, track, croquet, volleyball, skating, cycling and a three-mile running course, and is very popular with Houston joggers. The park is also home to the Seymour Lieberman Exercise Trail, a three-mile crushed granite pathway that sees almost 3 million visits annually. The Museum of Fine Arts, Houston is a place for families, with an increasing number of programs and activities that encourage adults and children to learn about and enjoy art together. Sunday afternoon programs include Creation Station, Storytime Tours, Sketching in the Galleries, and Family Flicks. Every Saturday, the whole family can experience art in a new way on an interactive Family Tour. African Americans have served proudly in every great American war. In 1866, through an act of Congress, legislation was adopted to create six all African American Army units, identified as the 9th and 10th cavalry and the 38th, 39th, 40th, and 41st infantry regiments. These fighting men represented the first Black professional soldiers in a peacetime army. The recruits came from varied backgrounds including former slaves and veterans from service in the Civil War. The nickname buffalo soldiers began with the Cheyenne warriors in 1867. The actual Cheyenne translation was Wild Buffalo. The museum is dedicated to these war heroes. Holocaust Museum Charged with educating students and the public about the dangers of prejudice and hatred in society, Holocaust Museum Houston opened its doors in March of 1996. Since that time, impassioned notes, poems, artwork, and other gifts, from school children and adults alike, attest to the life-changing thoughts generated by just one visit to this unique facility. 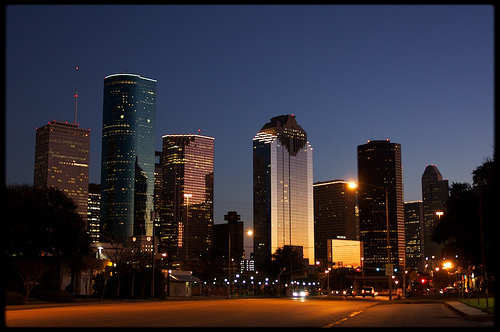 As a parent can quickly grasp, Houston is kid-friendly. 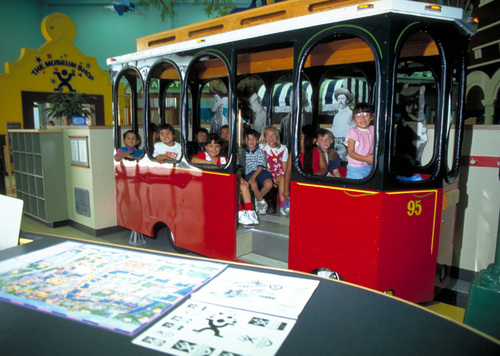 Easily half of the attractions are geared for kids or have a large component especially suitable for them. A tour of southeast Houston will take you to The Orange Show, with which young kids display an almost instinctual connection; the boat trip on the Ship Channel; a visit to the Battleship Texas; and the wonders of Space Center Houston. After that there's a visit to the boardwalk in Kemah, or a trip to the beach or to Moody Gardens in Galveston. 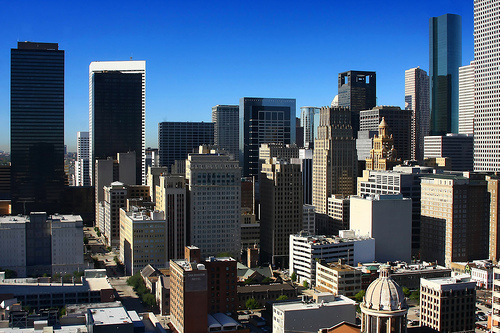 South of downtown you have the Museum District, which includes the Children's Museum, the Houston Museum of Natural Science, and the Museum of Health & Medical Science. And of course there's Houston Zoological Gardens, which has a special children's zoo that explores the different ecological zones of Texas. Further south is the AstroWorld theme park. To the north is SplashTown, a water park, and to the southwest is the George Ranch Historical Park for kids interested in cowboys and the Old West. Enjoy five miles of walking trails through forest, meadow and pond habitats offering opportunities to see frogs, turtles and other wildlife. The building houses gift shop, library, restrooms, and Discovery Room which includes aquariums, microscopes, and interactive exhibits including the 15 ft. model "Learning Tree". Hermann Park boasts lots of attractions, including the zoo, an outdoor theater, a Japanese garden and a golf course. Visitors can enjoy a picnic under the pines, ride the miniature train, rent paddle boats, or simply stroll about and enjoy the scenery. Plus, Houston Museum of Natural Science (see below) is within walking distance, as is the Medical Center. Hermann Park is also home to a children's playground, a lovely reflection pool, and a jogging and exercise trail. Minute Maid Park was built to reflect Houston's historical relationship with the railroads and features a vintage, full-sized locomotive that runs along 800 feet of track on the left-field wall. It beautifully incorporates modern conveniences like a retractable roof, yet exudes a truly classic atmosphere complete with red brick masonry and natural grass. The park has that old time feel without being old or run down. The city can be viewed through the glass windows behind the Choo Choo. The park is a very nice venue for a watching a ball game. Public tours are offered year round. 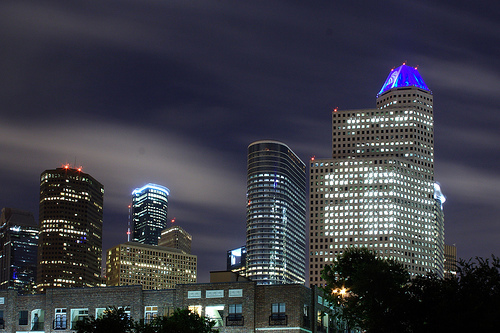 The Downtown Aquarium features thousands of fish swimming in 500,000 gallons of water - right in downtown Houston! It isone of the most impressive and exciting aquariums anywhere, complimented with games, rides and dining. Rothko Chapel A tribute to contemporary art: this beautiful building contains 14 paintings by the famous artist Mark Rothko and a sculpture by Barnett Newman. Football In football crazy Houston, the Texans are at the top of the heap. As one of the NFL's newer franchises, the Texans play in one of the most fan-friendly stadiums in the league, state-of-the-art Reliant Stadium. Go Rodeo The first three weeks of March in Houston mean the annual Houston Livestock Show and Rodeo. This one-of-a-kind event features the second largest fair in North America, daily professional rodeo competitions, and some of the biggest names in music performing daily during the three week stretch.